According to the German Statistics Office, non-food retail turnover increased 3.0% year-on-year in 2015, and further growth is expected in 2016. 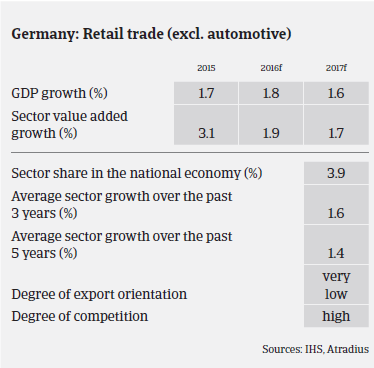 German consumer durables retail benefits from the country´s robust economic performance, with household consumption expected to grow 2.2% in 2016 following the 1.9% growth registered in 2015. According to the research institute GfK, in 2015 sales of large electric domestic appliances increased 4.4%, to EUR 8.7 billion, while sales of small electric domestic appliances rose 9.9%, to EUR 4.2 billion. GfK expects sales growth of those items to continue in 2016, due to low inflation and decreased fuel prices as well as a robust job market. For the furniture segment, the German association of furniture industries BVDM recorded a turnover increase above 4% in 2015, reaching EUR 32.6 billion. In 2016 it is expected that sales will again amount to more than EUR 32 billion. However, textiles sales just levelled off in 2015 compared to 2014. In all German consumer durables retail segments a concentration process is on-going, with a few large retail chains generating the majority of sales. Therefore, smaller and mid-sized retailers are still struggling to cope with the fast growing market leaders. At the same time, they are facing additional pressure from online retailers. The best way for smaller retailers to survive in this very competitive market is to join a large purchasing association. 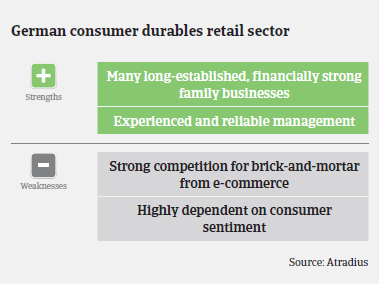 In general, payment terms in the consumer durables retail segment still range from 30 days to 60 days, however they can extend to more than 120 days depending on the market power of individual retailers. Payment behaviour in the German consumer durables sector has so far remained both good and stable, and we expect no major changes, as the general outlook for all subsectors is positive. 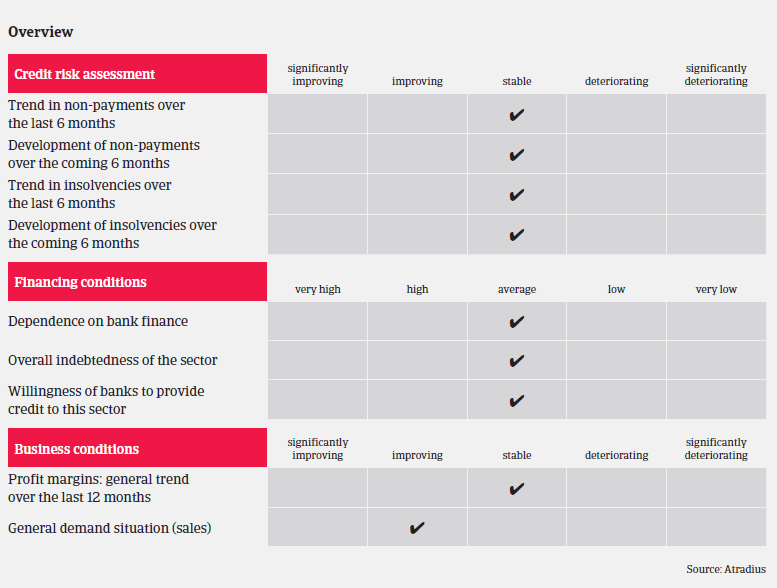 The sector´s insolvency level is low, and no increase is expected in 2016. In segments with a steadily increasing share of e-commerce, (consumer electronics, electrical domestic appliances, clothing) we try to obtain interim accounts in order to continuously check if buyers are able to keep sufficient margins.